Industrial air filtration may be able to prevent the development of arthritis by absorbing air pollutants. Air pollution can cause a number of different health problems depending upon factors like the kind of air pollutant a person is exposed to, the concentration of the pollutant, and the person's individual genetics. It’s long been known that air pollution can lead to the development of cardiovascular and respiratory ailments. This makes sense, as the pollutants enter the lungs and cause damage to the cells there. Yet could air pollution also be responsible for the development or advancement of rheumatoid arthritis as well? A recent study suggests that exposure to various kinds of air pollution may play a role in the development or exacerbation of arthritis by causing the generation of arthritis-related autoantibodies in the tissue of the lungs. These autoantibodies may function as precursors to the disease, making the development of rheumatoid arthritis more likely. 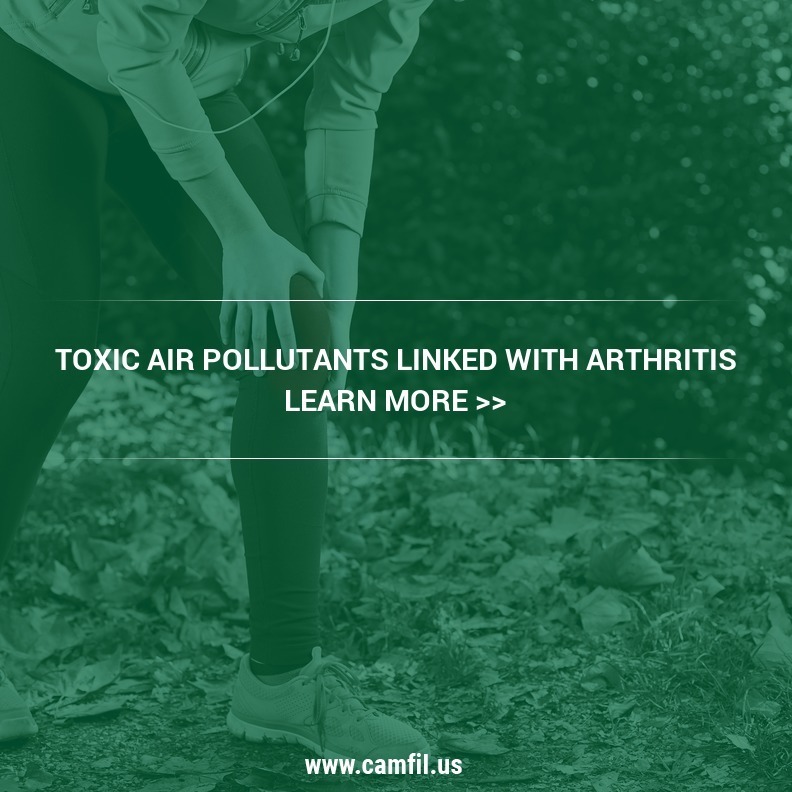 If air pollution can lead to the development of arthritis it's important to utilize high efficiency air filtration to reduce exposure to air pollution. A study published in the Journal of Inflammation in 2015 found a suggested link between the development of rheumatoid arthritis and exposure to various forms of air pollution. The study examined the links between arthritis and the pollution that originated from traffic and wood smoke. The various pollutants that the study tracked include various forms of nitrates (nitrogen oxides), sulfur dioxide, ozone and particulate matter. These air pollutants can damage the cells of the lungs when inhaled, which is why it’s important to use commercial air filtration systems to minimize exposure to them. The nitrogen oxides that the study tracked originate primarily from industrial facilities, motor vehicles and agricultural operations. Nitrogen oxide is a catch-all term for various air pollutants made out of both nitrogen and oxygen atoms. Fossil fuel combustion is a massive contributor to atmospheric levels of nitrogen oxide, but natural sources such as forest fires can also contribute. Ground level ozone, also called tropospheric ozone, comes from the interaction of heat and sunlight with volatile organic compounds (VOCs). Ozone in the upper atmosphere shields our planet from the sun’s UV rays, but at ground level it is a toxic air pollutant that contributes to smog and the greenhouse effect. Particulate matter was also tracked by the study. Particulate matter is an umbrella term for all different kinds of air pollutants, both liquid and solid, which are below a certain size. The particles that the study tracked include PM10 (particles with a diameter less than 10-microns), PM2.5 (those that have a diameter less than 2.5-microns?) and PM1 (diameter less than 1-micron). In addition to the possible development or exacerbation of rheumatoid arthritis, exposure to the air pollutants covered in the study can cause many different health problems. Inhaling the air pollutants that were covered in the study can lead to the development of cardiovascular diseases and respiratory ailments like asthma, pneumonia, and chronic obstructive pulmonary disorder. Exposure to both nitrogen oxides and sulfur dioxide can easily cause choking, wheezing, headaches and nausea in high concentrations. Sulfur dioxide and nitrogen dioxide inflame the lining of the lungs, making the lungs more vulnerable to infection. This means that conditions like emphysema and pneumonia are more likely to develop. Continued exposure to these air pollutants can cause permanent damage to the lungs, irreversibly impacting their function. Particulate matter is so small that it is capable of penetrating the human lungs and bloodstream. Some particles are many times smaller than the width of a human hair and at this tiny size, they can destroy the cells of the lungs. Particulate matter can even ride the blood up to the brain where it can penetrate the blood-brain barrier and cause brain damage. Particulate matter exposure can lead to stroke, heart attack, COPD, asthma, pneumonia and increased risk for lung cancer. Other studies have examined the link between arthritis and air pollution and found results that support the results of the Journal of Inflammation study. A longitudinal study published in the journal Environment International found a possible increased risk of rheumatoid arthritis in people exposed to nitrogen oxide, with the effect being the most profound in women. It’s important to note that arthritis cannot be caused by only exposure to air pollutants. Interactions between people's genetics and the pollutants are responsible for the development of arthritis. Air pollutants may damage cells and kick off a cascade of autoimmune reactions that can cause the development of arthritis. Therefore, it must be made clear that exposure to air pollutants like nitrogen oxide and particulate matter are only risk factors for the development of arthritis. Since exposure to air pollutants may be capable of increasing one's risk for rheumatoid arthritis or increasing the severity of arthritis, it’s important for people to protect their health with high efficiency air filtration and ventilation. Commercial air filtration units are capable of absorbing the dangerous particles of air pollution that may be linked with arthritis, while ventilation will decrease the concentration of pollutants in a building. While high efficiency commercial air filters are excellent tools that allow people to protect their health, it’s important to purchase and utilize the right type of industrial air filter. Filters are rated with a system called MERV, or Minimum Efficiency Reporting Value. This system rates a filter’s effectiveness at removing particles of air pollution and then assigns it a number. For most homes, a filter with a MERV rating of between 8 - 11 will be sufficient. Filters with MERV ratings higher than this are typically for use in buildings with extremely high air standards, such as hospitals and chemical labs. More pollution in a region also translates to a greater need for even higher efficiency air filters. The filters with the highest efficiency are called HEPA filters, or High-Efficiency Particulate Air Filters. They are capable of removing up to 99.97% of all particles as small as 0.3-micron in size. While these filters are the most efficient at capturing particles, they can also lead to higher energy costs as an HVAC system must use more energy to push air through the dense fiber weave of the filter. For these reasons, it is important to consult a professional and determine which level of filter is best for you. Industrial air filtration units and portable air purifiers are extremely useful for lowering levels of pollutants. These devices cannot reduce levels of pollution outdoors, however. This means that if we as a society wish to lower levels of air pollution and thereby lower incidences of diseases like asthma, lung cancer and possibly arthritis, we must implement strategies to reduce levels of air pollution. Strategies for reducing air pollution should include engineering and economics based solutions. Economics based solutions include those which incentivize companies and individuals to reduce their levels of emissions. This can include both positive and negative consequences. Positive consequences for reducing emissions of air pollution can include things like tax breaks, while negative incentives to reduce air pollution are devices like fees that scale with the amount of air pollution released. Engineering based solutions cover the creation of technological devices which are capable of reducing levels of air pollution. This encompasses many different forms of technology. Devices that directly capture air pollutants such as filters, absorbers, and electrostatic precipitators can be designed and improved, but more energy efficient devices can also reduce air pollution by cutting the demand for energy from fossil fuel power plants. Alternative forms of power generation themselves can reduce air pollution, and so can using green power to run clean forms of public transportation. 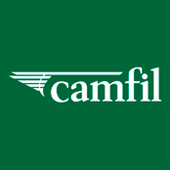 Camfil USA commercial air filters can help you determine the level of filter appropriate for you, so you can best protect yourself from toxic air pollutants. Click here to contact us and speak with knowledgeable professionals today.